The 2006 FIA GT Championship is almost upon us - with Silverstone’s opening round seeing the historic RAC Tourist Trophy up for grabs for the winner of the main event. Last year saw a pair of factory DBR9s dominate, with Pedro Lamy and Peter Kox taking the win. The factory cars won’t be back to defend that win this weekend though, but other Astons will certainly be gunning for glory. 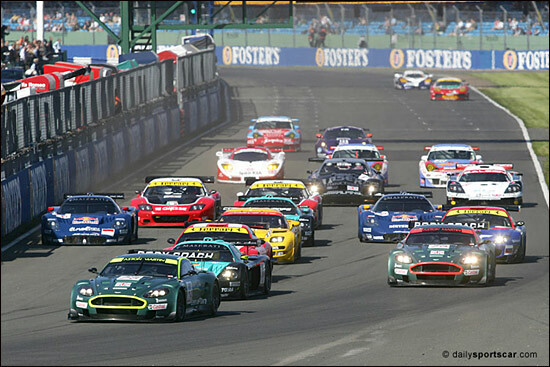 How many Aston Martin DB9s are due to race at Silverstone this weekend? Send your answers complete with a mailing address and telephone number to graham@dailysportscar.com by 5pm UK time on Friday 5 May. With thanks to SRO for the prizes.